MSC Cruises and shipbuilder STX France today announced the coming into force of the final contract for two “Meraviglia-Plus” mega cruise ships. The options had been confirmed by MSC Cruises’ Executive Chairman Pierfrancesco Vago at MSC Meraviglia Coin Ceremony held on February 1st, 2016. The two next-generation ships, the largest ships ever built for a European cruise line and the second largest globally, will be delivered in October 2019 and July 2020. 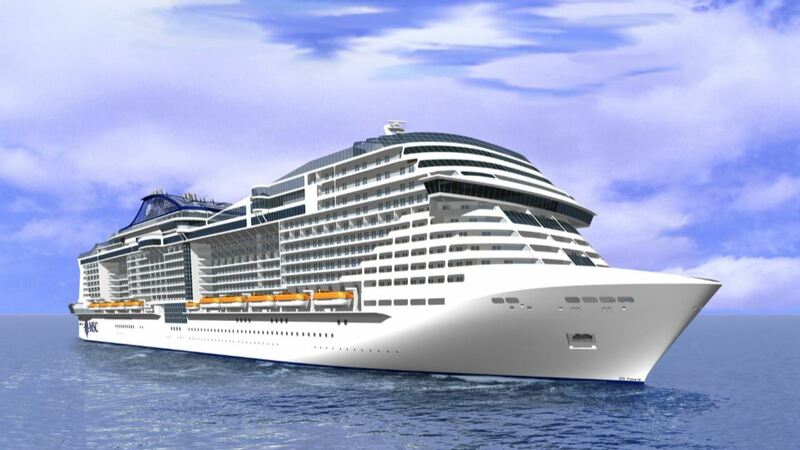 MSC Cruises, the world’s largest privately-owned cruise line, and ship builder STX France today announced they have agreed on all ship specifications for two “Meraviglia-Plus” mega cruise ships. The option for the two additional ships had been confirmed by MSC Cruises’ Executive Chairman Pierfrancesco Vago on February 1, 2016 at the MSC Meraviglia Coin Ceremony and the contracts have now been finalized. The two ships are part of MSC Cruises’ €9 billion investment plan, for eleven new next-generation cruise ships that will come into service by 2026. The “Meraviglia-Plus” ships are a further evolution of the “Meraviglia” class prototype, increasing their GRT to 177,000 with 2,450 guest cabins. MSC Meraviglia, the first of the two identical “Meraviglia” class ships that is currently being built, will come into service in June 2017, featuring 167,000 GRT and 2,250 guest cabins. The MSC Cruises “Meraviglia-Plus” class is the next-level generation of ships for all seasons. At 331 meters-long and with the addition of 200 extra cabins, the two ships will feature a maximum capacity of 6,300 guests. Thanks to their highly innovative maritime technology, together with their “Meraviglia” class sister ships they will be the only ones in their class able to call at all world cruise ports. Additionally, all four “Meraviglia” and “Meraviglia-Plus” ships will feature the latest STX France’s ECORIZON and other next-generation environmental technologies. Among other things, this will result in air emissions levels that are already in line with all upcoming 2020 regulatory requirements. Amongst their many other innovative features, the two “Meraviglia-Plus” ships’ interior promenade will now be an impressive 111 metres long and its LED sky screen ceiling will measure 95 by 6 meters, beaming out visual events and vistas around the clock to animate the entire promenade from above to create a unique atmospheric experience for guests. Also on the two “Meraviglia-Plus” ships, Cirque du Soleil will bring its unique brand of world-class shows exclusively to MSC Cruises guests in a purpose-built dining and entertainment venue in the ships’ aft lounge. Finally, the “Meraviglia-Plus” ships will feature a unique cultural experience for guests at sea with the first-of-its-kind classic and contemporary fine art museum. This industry-first feature will enable guests to discover world culture also on board by experiencing masterpieces from around the globe in collaboration with the world’s premier cultural centres, classic and modern art museums as well as public and private institutions.